The Zambian currency depreciated by over 15 percent at the end of last year, according to the Central Bank. 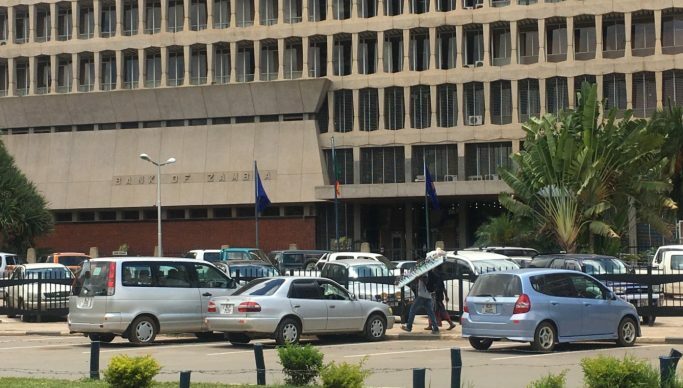 And the Bank of Zambia (BOZ) has decided to maintain the policy rate at 9.75 percent. Presenting the 2018 fourth quarter report at the Bank of Zambia offices in Lusaka, governor Denny Kalyalya attributed the depreciation to sustained demand for the US dollar, among other reasons. He said the net supply of foreign currency also reduced drastically. “During the quarter, the overnight interbank rate remained close to the Policy Rate of 9.75%, and averaged 9.79%. The Kwacha depreciated by 15.3% against the US dollar, mainly on account of sustained demand for procurement of petroleum products, VAT refunds and a relatively strong US dollar,” Dr Kalyala said Wednesday. And in anticipation of a sluggish private sector growth this year, the BOZ Monitory Policy Committee decided to keep the policy rate at below 10 percent. The policy rate is the key lending rate of the central bank in a country. Dr Kalyalya said in arriving at the decision, the Committee took into account, among other factors, continued subdued economic activity, with heightened downside risks. “Inflation projections which suggest that inflation will remain within the 6-8% target range, although close to the 8% upper bound of the range; sluggish private sector credit growth; slow progress towards fiscal consolidation as reflected in rising domestic arrears, public debt and external debt service payments; and, weak asset quality in the financial sector as reflected in high non-performing loans,” he said. Meanwhile, the Central Bank has projected a 4 percent growth rate this year, mainly driven by mining and manufacturing, among other factors. The Bank has however predicted a growth in downside risks that include a weak credit growth. “In 2019, growth is projected to be about 4.0%. Growth will be driven by mining, manufacturing, construction, and wholesale and retail trade sectors and supported by relatively stable power supply,” said Dr Kalyala.